After reading Agamemnon, I was sure that Greek plays should be better enjoyed as performance than as book. I have read Sophocles’ Oedipus several years ago, and have almost forgotten how beautiful and dynamic Greek plays are, with all the strophe-antistrophe-epode. Reading them in books reduces the plays’ dramatic uniqueness. 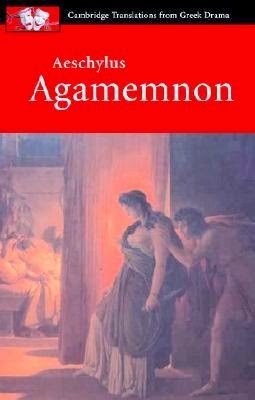 Unlike modern plays like Wilde’s or Shaw’s—or even Shakespeare’s—which are rich in characters and dialogs, in Agamemnon I only met with Clytemnestra, Agamemnon (whose name served as the title, but the character’s emotion was not much explored), Cassandra, and Aegisthus, besides the Chorus, the Watchman, and the Herald. On Agamemnon’s leave, the queen Clytemnestra rules the kingdom. She seems to be rejoiced when finally her husband comes home safely and triumphantly. However, a slave whom Agamemnon has brought from Troy (the daughter of Priam, Cassandra) predicts that Agamemnon would be killed by his wife. It turns out that the murder was planned by Clytemnestra and Aegisthus (Agamemnon’s cousin) as an act of revenge. Clytemnestra avenges her daughter’s murder; while Aegisthus blames Agamemnon for serving his two brothers (boiled!) to his father—who was Agamemnon’s rival of the throne of Argos. While Agamemnon is constructed by beautiful rhymes, the length of the each dialog could be quite tedious to read. Maybe it’s because Aeschylus was one of the first Greek tragedians. Euripides’ Medea and Sophocles’ Oedipus were more enjoyable for me. Actually I have meant to work this book out for my WEM project; I have even started with the summary (book 1 – 9). However, after finishing it, I just realized that The Confessions is more philosophical and theological than autobiographical. The last four books (book 10 to 13) were so engaging, I have even forgotten what I’ve been through in the earlier nine books. It seems like the four last books are the real core of The Confessions. Thus I decided to not continuing the usual three levels inquiries, and to write a (hopefully) decent review for this inspiring book, instead. Oh, I don’t even know how to begin the review, but I’m trying…. In the autobiography part, Augustine analyzed his former life; from infant to adolescence; how he has sinned; and how he struggled to find the ‘Truth’—you can read the chronology in my summary post. One of the most interesting things from this part is that Augustine believed that man has sinned even from his infant, when he is only one day old. Infant is demanding; it strives to get what it wants by crying. Augustine thought that baby’s weakness is in its body, not (yet) in mind. That is an extreme thinking, but it’s not fully nonsense either. Children are egoist; they only think of their own needs. Isn’t that the early stint of human selfishness? Isn’t human an individual creature? And aren’t we still inheriting Adam’s sins before we are baptized? About baptism, Augustine also blamed his parents for not baptizing him as early as possible; for he believed baptism would at least help him fighting his ‘wickedness’ as teenager. I agree with this; although baptism doesn’t always keep someone from falling to sin as it depends also on his education and the society where he grows up. But early baptism, when followed by strict guidance in moral and faith, increases the chance to fight against the evil influence. Augustine’s biggest weakness, besides his thirst of knowledge, was in sexual desire. For twelve or fourteen years (I forgot the exact number) he lived with a mistress whom he loved very much. In Italy, it occurred to him that a marriage would save him from this carnal lust. His mother, Monica, also rejoiced in his decision, as she has been continually praying for his repentance. But for the marriage, the woman he loved must be torn from his embrace. And this caused him a severe broken heart; although in the end Augustine never married any other woman, as he gave his soul wholly to God and His Church. I have actually just browsed a novel by Jostein Gaarder, Vita Brevis: A Letter to St. Augustine right after finishing The Confessions. Gaarder claimed that he had found an old manuscript which was believed to be originally written by Augustine’s mistress, a woman called Floria Aemilia. This would be an interesting reading, as she questioned Augustine’s theology and philosophy, and her views could be taken as an early feminism. But I would review it separately later…. His body produces sound, while his soul forms it into tune. So sound is formed in order to become tune. But sound and tune exists at the same time. That is an allegory of Creation ala Augustine. In order to understand it, let us replace sound with spiritual heaven and earth; tune with corporeal heaven and earth; and body with God. According to Augustine, heaven and earth in Gen 1:1—“In the beginning God created the heaven and the earth”—speaks about two different existences. One is spiritual—the heaven of the angels etc., the other corporeal—that is our earth (heaven here could perhaps be taken as sky). So, the creation according to Augustine could be perceived like this: God created the spiritual heaven and earth at the same time as, and in order that, He created the corporeal sky and earth. If only God’s creation could be explained as simple as that…. Still in book 12, Augustine also discussed about the meaning of other creations: water vs dry land, fish, fowls, the dark abyss and the light. He has completely changed my view towards those verses; I was grateful to have read this book as I was preparing that verses for my lector task on Easter vigil mass. One post would not be enough to share all my thoughts, but I must stop here at last. One thing is sure: this is a very important and intense reading; tough but beautiful. One can read this many times, and would perhaps form different opinions on each reading. This book would also provide many materials for interesting debates. The Confessions was written in 397 – 400 AD, and St. Augustine’s thoughts have provided great influence over the medieval era, when Roman Catholic Church was the center of institution. In all aspects in which he analyzed his former life, Augustine always viewed his actions and thoughts from God’s view; whether He approved this or that, and how he has offended God by doing some sins. In one chapter he would lament over his wickedness and ask God’s forgiveness, while in the next chapter he would praise Him and rejoice because God has helped him to repent. The relationship of God and human was still intimate; it was time when intellectual people pondered much over religion and God’s existence. Five stars for this outstanding piece! #LitMoveRC participants, this is just a quick check-in to let you know that the linky for our January Medieval has been up here. You can link up your reviews or posts in the linky until February 15th. I have planned to read two books for January Medieval: St. Augustine’s The Confessions and Le Morte d’Arthur. But unfortunately I have been very busy since after Christmas, and The Confessions turned out to be much more than an autobiography, it is full with theology and philosophy; definitely not a fast reading! It is a tough read, and I need more time to read it than I have expected. 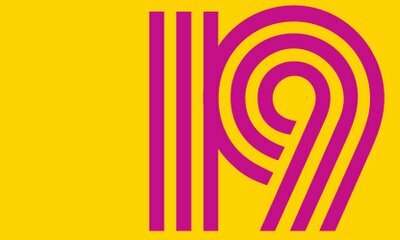 Right now I have about 80s pages to the end, and expect to finish them by this weekend. The problem is, I don’t think I’d be able to finish Le Morte d’Arthur (2 volumes – 1000s pages) in time, and I still have two other books for two different challenges. Second problem, actually I have read about 20s pages of 1st volume, and have been bored by the repetitions during the war scene (The Arthurian faction vs eleven Kings). Maybe I am just not familiar with its style, and actually I’m really curious to read what‘ll happen next. But I think I’ll put it down this month, and read it again when I have enough time (maybe next year). I do hope this little failure will not continue on the rest of the challenge. But what about you, which medieval literature have you picked? Or what are you still reading right now? Did you have difficulty on reading medieval lit? What a tough book to begin the new year with! I read The Confessions for WEM project, and this is my first chapter post of it. It tells Augustine’s early life, his dwelling in sins, and how he converted to Catholic. St. Augustine plumbed into his memory to trace how God has poured His grace onto him since infancy, yet he has sinned since he was born. Later, his baptism was deferred due to illness, and it exposed him to focus his mind in rhetoric studies, instead of God's Truth. In his puberty, Augustine committed adultery and theft, and was pleased in doing them for the sake of sinning and powerful feeling. His parents could have hindered him from it by arranging marriage, but they thought study was most important. 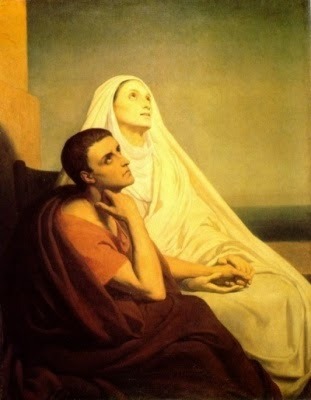 Augustine believed God kept silent about his sins, although later realized that his mother's warnings were actually His. 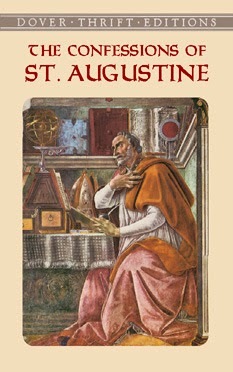 Augustine studied at Carthage and was amused by Greek plays, Cicero's philosophy, and Manichean heresy. Meanwhile he kept searching for God, yet he blasphemed Him and "stayed in the mud" for nine years. His mother had a vision that he would repent someday, which raised her hope. After completing his study, Augustine taught the art of rhetoric at his native place Tagaste; where he took a mistress, and was drawn on astrology; until he was deeply grieved upon his best friend's death. He then returned to Carthage; praising and writing a book on the nature of beauty; and was attracted to Aristotle's The Ten Categories. He was amused by his own ability in learning and studies, not realizing that God granted it him to serve Him. At age 29 Augustine met a Manichean bishop: Faustus, at first was amazed at his eloquent speeches, but soon disappointed as it could not quench his thirst for the Truth. 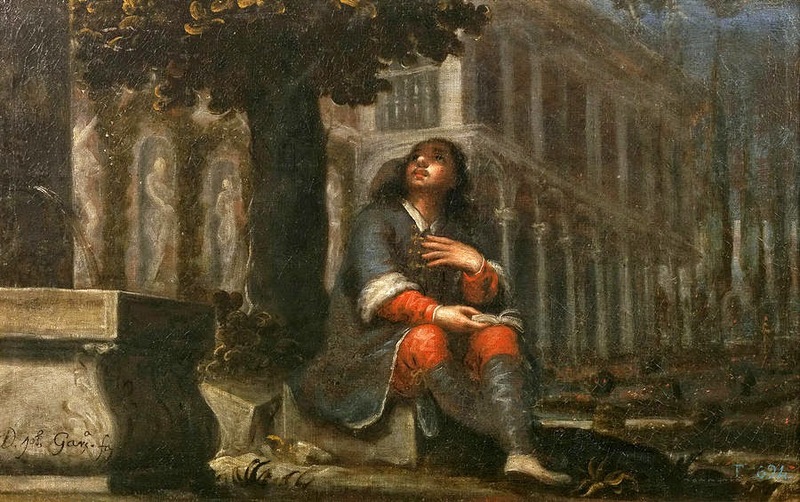 He was persuaded to pursue teaching career at Rome, where he got a fever and almost dead, before recovered and found new interest in Platonic 'Academia'. Then he won an audition to teach rhetoric in Italia for Ambrose (a bishop), where he was attracted to New Testament; and finally became a catechumen in the Catholic Church. Though he was closed to Ambrose, he could not disclose his troubled soul to him, and so kept on believing that God exists, though he couldn’t trust anything that was immaterialized. Instead he sought eagerly pride and pleasure, together with his friends Alypius and Nebridius. He was engaged with a girl who was 2 years too young to be married; and meanwhile lost his mistress, wounded at heart, then took another mistress, and so plunged deeper in sins. Augustine still could not accept the concept about God who was not materialized and the existence of evil, if He is good. Then he learned some quotations from Scripture from Platonist books and finally found the Truth; that all comes from God is good, and evil is the bent will of men from God. He even experienced Plotinian ecstasy, and from there began to know Jesus Christ through study of Paul the Apostle. Though he has believed in Jesus Christ, Augustine was still reluctant to leave his worldly passions, especially sexual desires. He was inspired by the conversion of Victorinus and Anthony, but still in severe conflict between the good and evil in his soul; until God finally guided him to a certain passage in the Bible. It was that that finally fully converted him to Catholic faith, along with his friend Alypius. Book 9 is the last part of St. Augustine’s autobiography. He tells us how he resigned from his rhetoric job; having finally been baptized along with Alypius; then leaving for Africa together with his mother Monica. There in Ostia, together with his mother, Augustine experienced an ecstasy while discussing about eternal life; just several days before Monica died of fever. He mourned over her death and dedicated a chapter to tell us the story of her life. First of all…..Happy New Year everyone! This is my first post of this year. Hope year 2015 brings us success in our personal lives, as well as reading life! I have provided in the sidebar, the links to all months/movements to submit your reviews/posts. The linky will only be opened on 15th of each month, and closed on 15th of the next month. 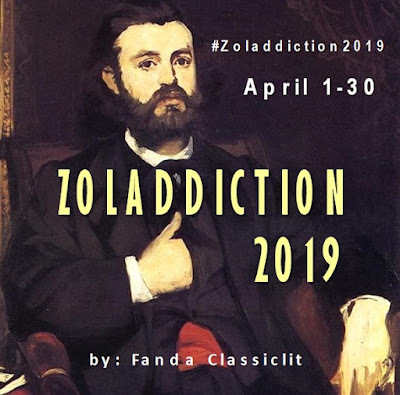 To complete the challenge, you are required to add brief (or long if you like) analysis about the book/author you have read inside your review. Read more about this on the sign up post. I will post a wrap-up post at the end of the challenge. You can submit your link to your own wrap-up post, or simply to your updated master post (after you added links to each of your reviews). This will help me checking whether you have completed the challenge, and consequently be eligible to be ‘champions’ (read more on this on the sign-up post). For any feedback/question/discussion, just write in the comment box or mention @Fanda_A at Twitter, using hashtag: #LitMoveRC. So…. 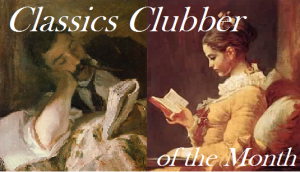 let’s begin our literary journey throughout this year! P.S. Just curious…which book do you have for kicking this off? Mine is St. Augustine’s The Confessions.